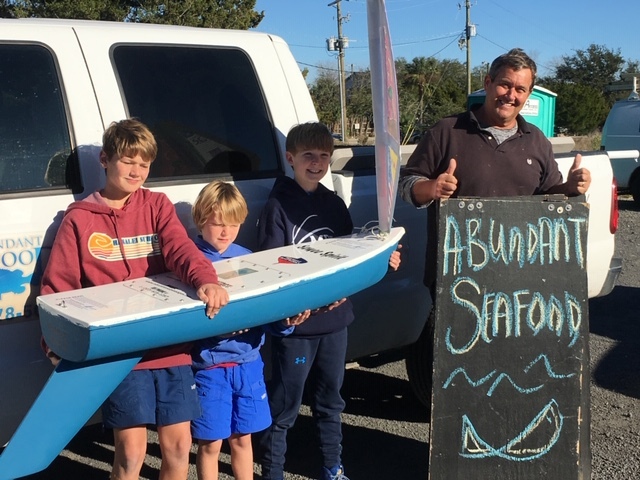 Local fisherman, Mark Marhefka, owner of Abundant Seafood, took the MPA Sewee Spirit out to sea on his boat, the Amy Marie on January 10th. He dropped her off on January 13, 2019 and she is on her way!!! This video is the last we saw of her! We are now checking her progress from the GPS tracking. Bon Voyage!!! We were ready to launch!! Mr. Grunenberger, whose sons are students at MPA, helped us attach the GPS and seal the hatch. 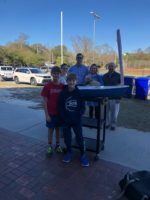 Mr. Sutherland, whose sons also attend MPA delivered our boat to the docks on Shem Creek on Wednesday, January 9, 2019. It was due to set sail on Thursday, 1/10/19. We were thrilled that the GPS worked and our boat was on its way to a great adventure!! We decided to wait until the Atlantic hurricane season was over before we put the Sewee Spirit out to sea. We painted the hull and gathered some things to put in the hatch. We sent a letter from Ms. Jackson, our principal, some coins, a map of Mt. Pleasant, a Mt. Pleasant Academy t-shirt, pictures of the Charleston area, and Flat Stanley. We cannot wait to see who will find them! 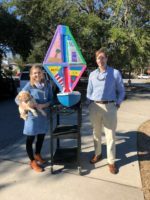 We were thrilled to receive our mini-boat! 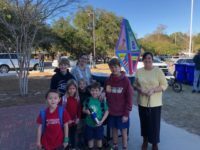 As part of a Marine Science unit of study, third graders learned about different types of boats and made model boats. 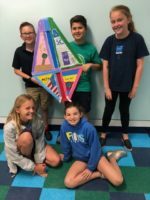 Students designed and painted the mast, and the entire school voted on the name of our boat–the MPA Sewee Spirit! We were so anxious to put the MPA Sewee Spirit in the water, but we also wanted to track her as a school, so we decided to wait until summer was over before we launched her. After reading about Harborview Elementary’s mini-boat and its voyage to Ireland, Mt. 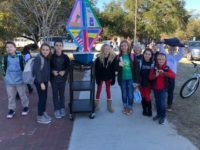 Pleasant Academy knew that a mini-boat would be a perfect teaching tool for our school! We were so excited to purchase our little vessel!! The MPA Sewee Spirit is from Mt. Pleasant Academy in South Carolina.